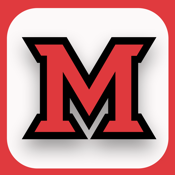 Access information about Miami University at the touch of the finger. Search for Miami events, news, sports, and dining menus anytime and anywhere. Navigate campus maps and find phone numbers on demand. 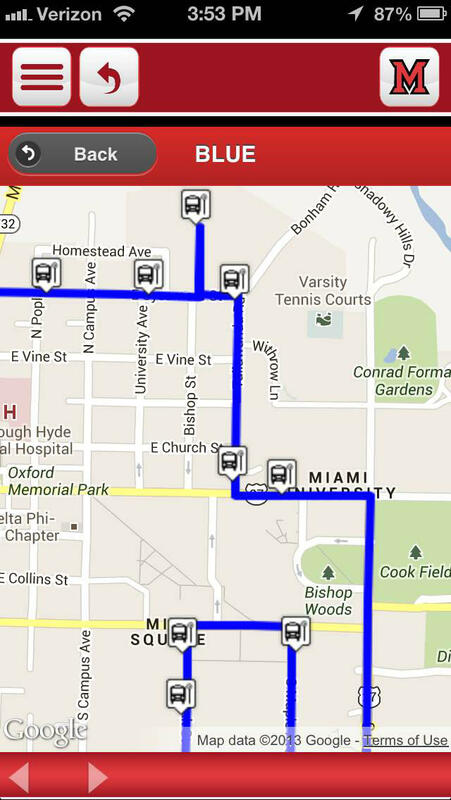 - Maps: Search for any building on the Miami University Oxford Campus and find the closest parking to any location. - Visitor Parking: Visiting campus? Find visitor parking. - Libraries: Access the Miami Library system’s mobile web site. - Dining Menus: Hungry? Use the app to retrieve the daily menu for dining halls across the Oxford Campus. - Sports: Follow Miami Redhawk sports. - Events: Find a listing of all events happening on all campuses including Oxford, Hamilton, and Middletown. - News: Get the latest news for Miami University, including the Miami Student newspaper. - Emergency Info: Use the app to find emergency and contact information for Miami University.